We are leading Trader of Medical Belts such as Knee Spacer with Belt, Velcro Grip Belt for Spoon and Leg Lifter Belt from Mumbai. It is useful for the people with limited hand strength or mobility enabling them to brush on their own. One just has to tie the Velcro belt around the palm and place toothbrush/hairbrush etc. in the pocket provided. Useful for people with limited hand strength or impaired mobility as it enables them to eat on their own. It enables those with limited hand mobility or arthritis patients to eat on their own. Simply tie the Velcro belt around the palm of the hand and place the spoon or fork in the pocket provided for it. You may need to grip the spoon or fork firmly, to prevent it from sliding out of the pocket. We offer an exclusive range of Knee Spacer with Belt in industry, which are available in several specifications to meet the diverse needs of the clients. These belts are fabricated using foam that provides relief to the knees. 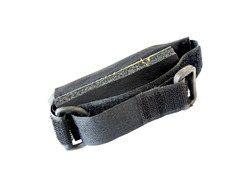 These comfortable and reliable spacers have adjustable straps, which offer support whole night. Apart from this, our comprehensive range of these spacers is offered at market leading prices. 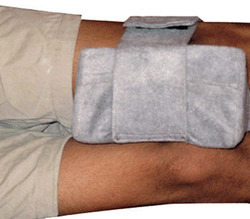 This simple device is useful for people with limited lower extremity strength. It enables them to lift the foot onto a wheelchair, footrest, bed or into a car. Being a trusted trader in industry, our firm is engaged in offering best grade Leg Lifter Belts. Our range of these belts is made using quality tested raw materials and sophisticated tools at manufacturer’ end. With the help if our skilled and adroit professionals, we are able to offer osmium quality products within the given time frame. Moreover, our range is reasonably priced that suits budgetary limits of the clients. Size: 8PP076-82 cm X 5 cms. Assists in positioning easy movements of leg especially in a case of leg plaster Useful for people with limited lower extremity strength Everyday aid for an individual in a cast. Being a trusted trader in industry, our firm is engaged in offering best grade Leg Lifter Belts. Our range of these belts is made using quality tested raw materials and sophisticated tools at manufacturer’ end. With the help if our skilled and adroit professionals, we are able to offer osmium quality products within the given time frame.